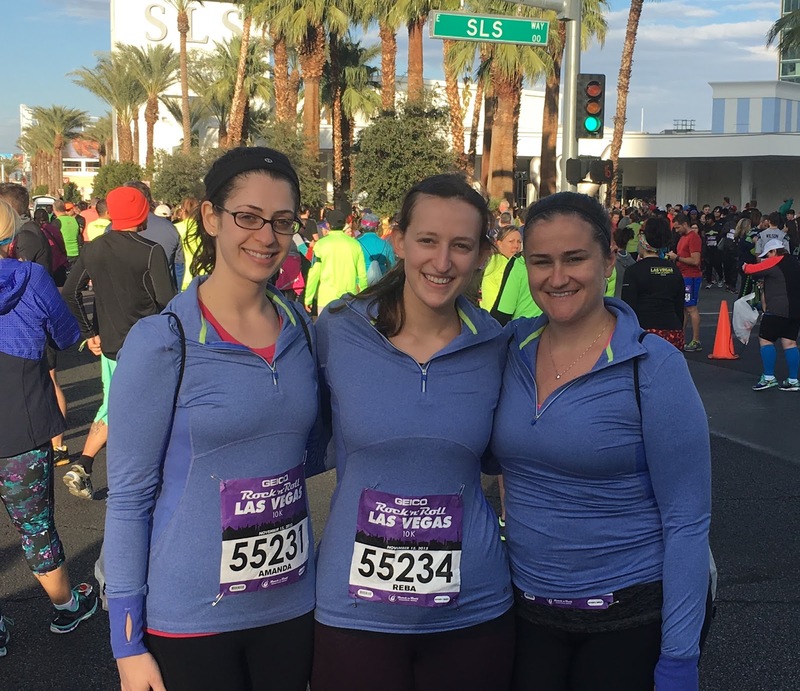 A few weeks ago, I jetted to Las Vegas, Nevada with two girlfriends, Kristen and Reba, to run the Rock 'n Roll 10K! The race marked my first time running in another state, and my fifth time in Las Vegas. While I do love to run, I also love to eat, and Las Vegas has no shortage of fantastic restaurants. Our first meal after getting in town and checking out the race expo, was at China Poblano at The Cosmopolitan. The restaurant is a fusion of Chinese and Mexican cuisine by chef Jose Andres. I loved the variety of dishes including dim sum, tacos, soups, and noodles. From the Mexican side, we tried a variety of tacos and chips and salsa. From the Chinese side of the menu, we tried steamed barbecue pork buns, and 18 Monk wheat noodles with shiitake mushrooms, sweet potato, and soy sauce. I liked the unique concept at China Poblano, variety of options, and reasonable prices for Las Vegas. I'm giving China Poblano 4 ghosts out of 5! We walked around the strip after lunch, taking in the sights and warm weather (compared to Chicago!). For dinner the night before the race, we definitely wanted to carb load with some Italian food. I scored a reservation at Lago at the Bellagio. Lago is Chef Julian Serrano's first Italian restaurant and it has stunning views of the Bellagio fountains. The restaurant's cocktail and dessert menu is presented on an iPad which is always fun (and especially useful for visual people like me). Lago's menu encourages sharing of small plates so we decided to split a few dishes and enjoy our own plates of pasta. We shared the caponata, margherita pizza, and focaccia with ricotta and honey. Everything was delicious, but the focaccia totally stole the show. For our main courses, we each decided to order our own portion of pasta (we were carb loading after all!). We tried pasta similar to a vegetarian lasagna, cannelloni with pulled short rib, Parmesan fonduta and tomato sauce, and fusilli with lamb ragu and ricotta. The food and view at Lago were excellent, but the small portions make it seem a tad overpriced. I'm giving Lago 4 ghosts out of 5. Arguably the hottest restaurant in Las Vegas right now is Giada De Laurentiis' restaurant, Giada, at the hip Cromwell hotel. The restaurant has a great view of the Las Vegas strip and made for the perfect ambiance for Sunday brunch the morning of our race. Giada's name is everywhere. Literally. You have zero chance of forgetting where you are. The Italian brunch menu features a variety of freshly-baked pastries, antipasti, salad, soups, sandwiches, and entrees. They also offer a three course brunch tasting menu. We decided to stick to the a la carte menu and started with three pastries which we shared: rosemary scone, lemon raspberry cake, and chocolate croissant. All three were fabulous! For our main course, we each ordered egg-based dishes. I tried the breakfast contadina with two scrambled eggs, crispy polenta cakes, wilted spinach, oven roasted tomatoes, and toast. The polenta cakes and toast toppings (housemade jam, butter, and Nutella), made this a simple but great choice. Kristen ordered the polenta waffle with pancetta, chives, sunny side up eggs, and maple syrup and bechamel on the side. I loved the polenta's texture in the waffle. Lastly, Reba ordered the caprese frittata with fresh mozzarella, heirlom tomatoes, and basil. Unfortunately her's arrived with a hair in it (yuck), but they quickly replaced the dish. Overall, I enjoyed the atmosphere and baked goods at Giada, but the service was definitely lacking and my entree was just OK. I'm giving Giada 3.5 ghosts out of 5. After brunch and a few hours of digesting, we got ready to run! The race took place on a Sunday evening and the course led us through old Las Vegas and Fremont Street, and then down the Las Vegas Strip. It was such a cool experience running through the streets, despite the windy and rainy weather. It was a great feeling crossing the finish line along with thousands of other runners! After the race, we all wobbled over to The Venetian where we had a celebratory dinner. 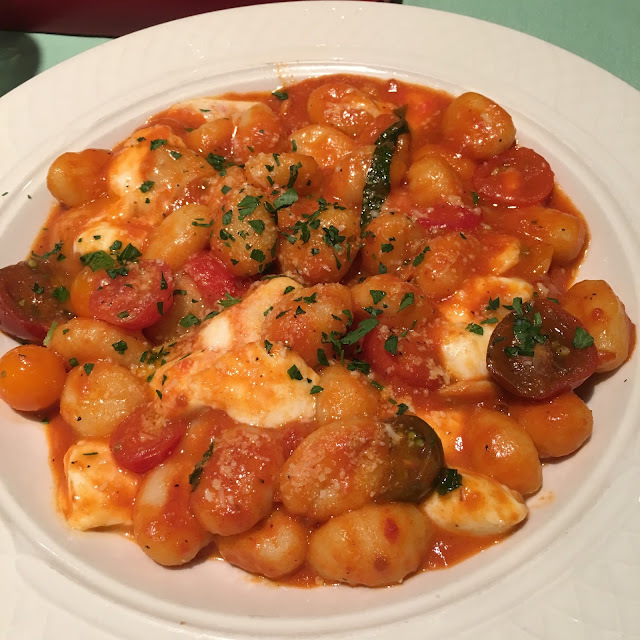 Somehow we ended up eating another Italian meal, but it was delicious! 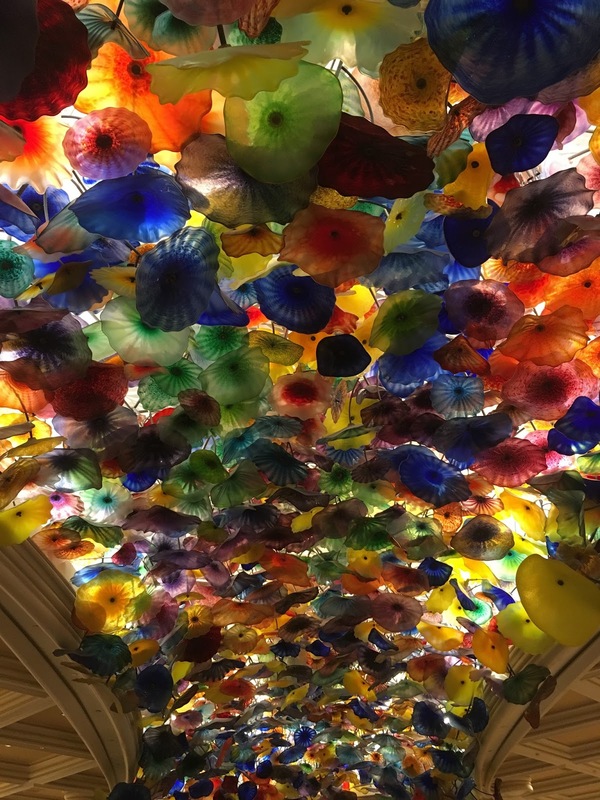 We stopped by Casanova in the Grand Canal Shoppes at The Venetian where we enjoyed salad, pizza, and pasta! Casanova was a random choice for dinner, but it was tasty and a great value! I'm giving it 4 ghosts out of 5. Our last stop in Vegas was for dessert at Carlo's Bakery in The Venetian. The bakery is Cake Boss Buddy Valastro's bakery famous for its cookies, cannoli, and cakes. We picked up some sweet treats including a mini cannoli, chocolate hazelnut tart, and a cream puff. All were too delicious we forgot to take photos! I have no complaints about the quality or variety of the baked goods at Carlo's, so I'm giving them a solid 4 ghosts out of 5!